Barnsley College is hoping to inspire and encourage people to embark upon a new learning adventure with the launch of its part-time course guide. A wide range of courses for adults are starting from September including Accounting, Animal Care, Art and Design, Business and Management, Catering, Childcare, Construction, Engineering, Essential Skills, Foundation Studies, Hair and Beauty, Health and Social Care, Horticulture, Music, Performing Arts, Sport and Teaching. 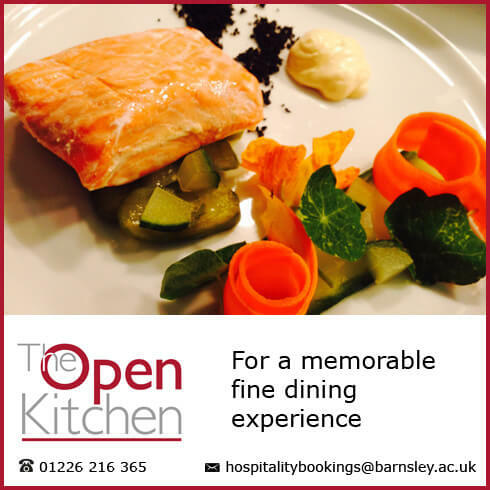 Also listed are part-time degrees and HNC/Ds offered through University Campus Barnsley as well as a number of Access courses which enable those who have had a break from learning to get back into education and progress onto university level courses. The brand new part-time course guide is available to download from our course guide page or request your copy from the Barnsley College Information Unit on Tel: +44 (0)1226 216 123. Barnsley College enrolment is taking place from Monday 17 August at the Old Mill Lane campus.